But we are off to the Cinema this weekend - and it will be little mans first cinema experince. We have been invited to attend a showing of "Little Screen" at Showcase cinemas up and down the country, they are launching this brand new cinema experince aimed at pre-schoolers. 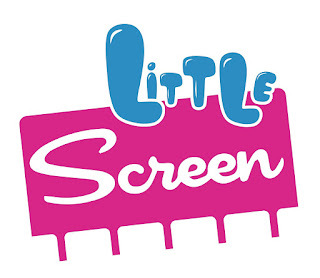 LittleScreen, for little people but on a BIG screen, brings together some of the most loved characters to the cinema for the very first time. This June (18th and 19th), a brand new cinema experience for pre-schoolers will be coming to Showcase venues across the country. Each showing is a 60 minute screening featuring episodes of some well loved programmes like Thomas and Friends, Masha and the bear and a firm favouirtie in this house Paw Patrol. It all hosted by Marty - and is a real experince encouraging everyone to join in the fun with singing, clapping and having fun. We are really looking forward to this as Nat loves films and TV (and youtube) but this will be his first big screen sitting, of course with drinks and snacks i'm sure. Seems like a lovely way to introduce small ones to the cinema. LittleScreen will be showing in selected Showcase Cinemas at 11am on Saturday 18th and Sunday 19th June. For full listings and tickets visit here The programme will run for an hour and includes an interval (perfect for those sterech your legs and get more snacks break). It should be a good morning out and lets hope little one enjoys it - as much as his big brother enjoys the cinema. The programme has been produced by Pinewood Live, part of the Pinewood Studios Group, home to some of the most successful feature films and TV shows ever made, in collaboration with Showcase Cinemas and a BAFTA award winning team.